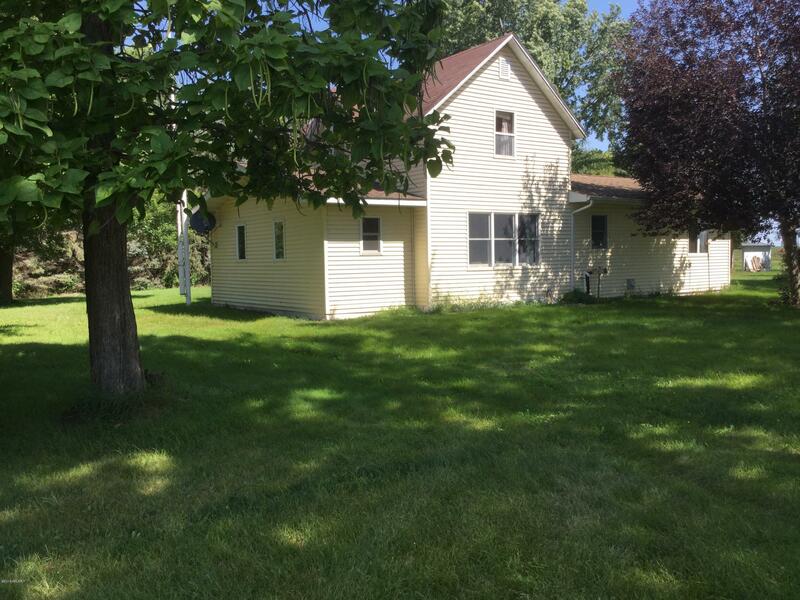 Three bedroom home on a large acreage with mature trees, on a paved road. The updated kitchen and dining room are combined into a large open room. The home has a reverse osmosis water system and a new furnace and central air in 2018 Outside there is a 28 x 40 shed for horses, a feed shed, two storage sheds, and a 16 x 8 garden shed. Also included is a 20 x 30 garage and a 24 x 24 heated wood shop. The yard has several shade trees that are home to several spiecies of birds. Come and see this property.